The working world is changing and as such, many people are diving into digital/remote jobs to make a living. It’s not like you never work at all or that you don’t work hard with such a career. But, this kind of work environment does provide more flexibility, and sometimes, the ability to make more money than you may think. It’s all a matter of how you approach this opportunity. Do you want to work from home for a large corporation, or build something yourself? Would you like to learn how to build an affiliate website or create a product you can market and sell entirely on your own? There are pros and cons to all options, and you should do a bit of research before deciding which is right for you. 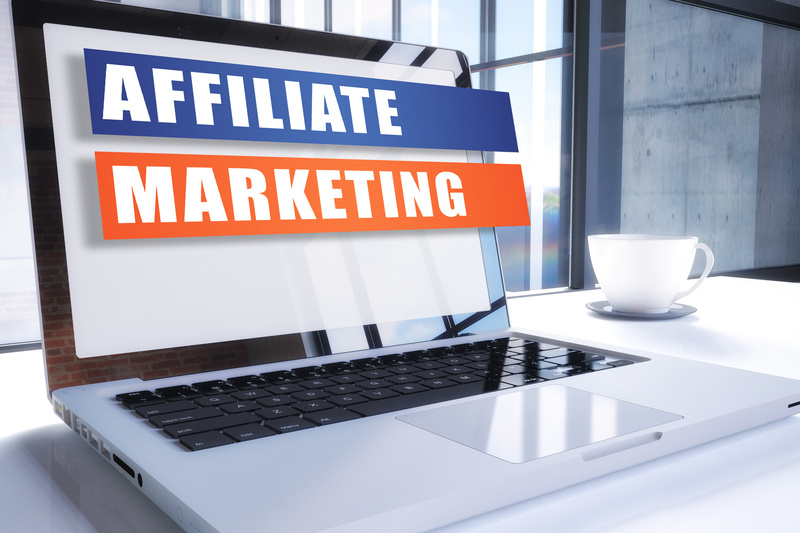 If you choose to become an affiliate marketer, use the guide below to help you get started. Affiliate marketing is a tool that large businesses use to reach consumers in a personal, direct manner. Instead of funding large campaigns with their name directly on it, businesses pay other people to talk about their products and services. These people are called affiliates. When one of their followers uses the affiliate’s link to purchase or sign up for something, the affiliate gets a commission from the business they are working with. Some affiliate websites work with multiple businesses at once, while others are part of one company’s program. Either way, having an affiliate website gives you the chance to create a steady cash flow. Over time, you can start building an income by working less frequently or not as hard, because you’ve built an audience that allows you to do so. 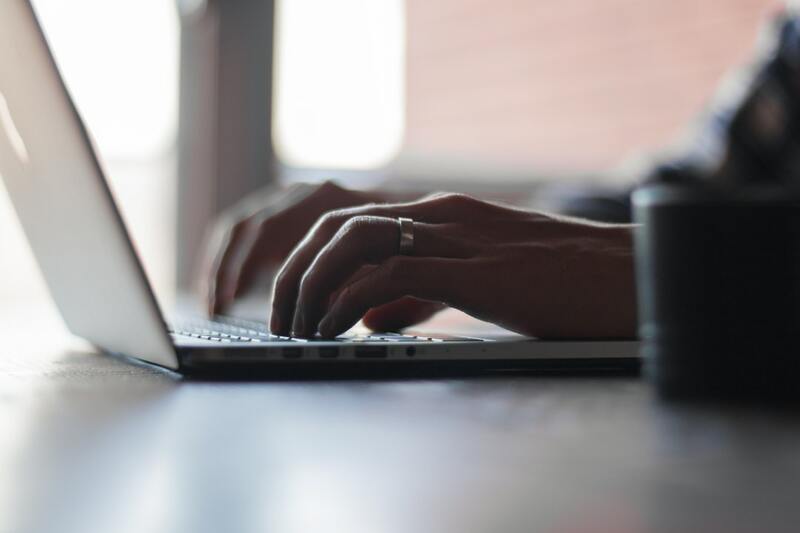 The best way to think about an affiliate website is a blog. Instead of writing about random things, you write about what the company you’re working with offers. This may be a range of different products or a small niche of specific services. Still, the point is to talk to your audience. Tell them everything you love about a certain item and don’t hold back the negative features, either. The more transparent you are, the more people will trust you and the more likely they are to come back to your affiliate website. Before you focus on retention or marketing, though, you have to get a few basics out of the way. Follow the steps listed below in order to give you the best results. The first thing to do as a new affiliate marketer is to decide what you want to market. This sounds simple at first – you may want to write about soccer gear if you’re a sports fan or talk about different cooking utensils if you love to cook. But, it’s one thing to have a passion for a certain subject and another to have an in-depth knowledge of it. You should at least have a basic understanding of the niche industry you choose. Think about choosing something related to the career you have right now or a hobby that you’ve spent years and years engaged in. Such a background will allow you to progress from being a fan or an enthusiast of something to establishing yourself as someone with a bit of authority to share. This knowledge will help you connect with businesses that you want to market for. It will also help you build trust with your audience, as opposed to an individual who knows nothing about what they’re trying to sell. To help you find the right businesses and products, check out this website. Once you have an idea of where you’re headed with your affiliate site, you have to buy the domain for it and build it. Choose wisely when you pick your domain name. This should be something that is easy to remember and simple to understand. You want it to be related to the products you’re marketing, but not in a way that’s generic and forgettable. Write out a few options and think about what stands out the most. Then, check to see whether the domain you’d like to have is available or not. Also, think about what kind of website you want – a .com, .net, .org, etc. After the domain is bought, you can start to customize the look of your website then work on creating an audience for it. 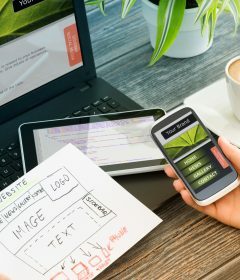 These may sound like two different things, but in reality, design and marketing go hand in hand. 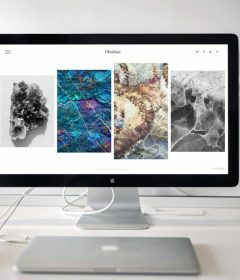 Things like your landing pages, your website copy, the visuals and the links you use are part of the design, and they’re also essential to SEO. SEO stands for Search Engine Optimization, the bread and butter of online marketing. If you don’t start learning about SEO from the very beginning of your affiliate marketing business, you’re going to be at it a long time before you start seeing good returns. The design elements mentioned above are the basics of SEO. As you start to expand your knowledge of online search, you’ll learn to use social media to your site’s benefit and how different plugins work, too. These are what will really help set you apart from competing affiliate sites. Plugins allow you to track your site’s success and growth, and to support it with things like email campaigns and better load times. They also help you manage your online reputation, which is critical for websites of all sorts. If you really want to succeed in affiliate marketing, keep working at it. Don’t give up as you face challenges getting started and don’t get complacent when you start seeing your first signs of success. Find new products to make money with or maybe even build an entirely new affiliate site that you can use to operate in another industry. 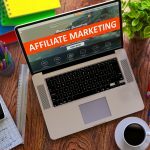 Whatever you do, though, you have to master how to build an affiliate website first, then worry about monetizing it. To help you do the latter, check out these awesome tips.